Most people have some kind of credit agreement, whether it’s a simple bank loan or a car bought on credit. Credit is something that can be really useful – but if it gets out of hand you can find yourself in a great deal of financial trouble. There are many ways you can be offered credit, although they all use the same principle – the finance company lends you money and you have to pay it back! This is the most common type of credit agreement, the sort of agreement that you might get into if you buy a TV from a store on monthly terms. You normally have to pay interest, although you can get interest free deals, or deals where you pay nothing for a set period of time. You can’t be forced to give the goods back if you get into arrears, but you can be taken to court for the outstanding amount. Under a hire purchase (HP) agreement, the goods aren’t actually yours until you’ve paid the whole amount. This means you could have to give them back if you default – even if you’ve paid a substantial amount of the money back. You can legally end the agreement and return the goods if you decide to, but you’ll have to pay any overdue instalments and if you’ve paid less than half of what’s owed, you could also have to pay the difference. The goods can be repossessed if you don’t pay. This is like an HP agreement and usually includes a condition that the goods aren’t yours until the final instalment is paid. The lender could also repossess any goods if you get into arrears. You can get credit cards from banks and finance companies, and often through shops too. 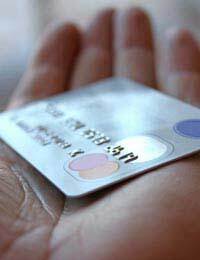 Normal credit cards can be used to get money from banks (although don’t do this too often as it can be expensive) as well as buying goods from shops and online. You will almost definitely be charged interest on a credit card so shop around before you sign up. Some cards offer points and cash back, others give you a 0% rate for a set period. Some will charge an annual fee, too. You can usually pay back a set amount every month, pay in full, or a minimum amount. If you can afford to pay more than the minimum amount back, it will work out cheaper – credit cards make their money from people who just cover the minimum and never pay the debt off completely! These are useful if you are disciplined enough to pay them off in full every month, as you can get good offers and discounts. But most of us don’t do this, and that’s where the credit provider hits you with a huge interest rate. If you have a bank or building society account, they can offer to lend you money on your current account, and this is an overdraft. It can be an expensive way to borrow money as you pay a fee for it plus interest. You can also get a personal loan from a bank or credit company, and you don’t have to have a bank account to do so. Make sure you know what you are actually applying for as some loans are secured on property to offer lower interest rates. It’s never a good idea to secure a loan on your home unless you have to, no matter how tempting the rate. Don’t panic! The first thing to do is make sure that you stay in touch with your creditors – the people you owe money to. Prioritise your debts – bills that have to be paid – and try and negotiate repayment holidays, or reduced payments with other non-priority debts. If you have trouble with this, or you find that your creditors aren’t listening to you, contact your local Citizens Advice Bureau for help with organising the repayments – they could save you time and money by arranging repayment schedules with all of the people you owe money to.